Earlier today, the deal that we all knew was coming finally got announced as Apple announced it had agreed to purchase Beats for $3 billion. Tim Cook praised the subscription service, but he also talked to The Financial Times and cleared up a bit of info that had a number of people curious: whether or not Apple would continue to support the Android and Windows Phone apps for Beats Music. The surprise of the day was that Tim Cook confirmed that Apple would continue to support the apps for other mobile platforms. This is arguably bigger news than that of Apple purchasing Beats, because it has more implications than it would seem at first. Sure, it was surprising that Apple chose to purchase Beats rather than simply create its own subscription music service. It would seem that Apple could do that fairly easily given what it has in iTunes and the history it has of making deals with record labels. But, the Beats Music service was likely not the main target of the acquisition, despite Tim Cook saying that the deal is "All about the music." In reality, the purchase probably had much more to do with the Beats hardware, the Beats head honchos, and maybe even the software development team. Apple already has a digital music platform and it has the most popular portable music players on the market. For years, that latter phrase would have referred to iPods, but iPods are quickly being replaced by iPhones as the go to media player, to the point where there has been speculation that Apple could kill off the iPod line. It would certainly make sense. Apple hasn't updated the iPod Touch or iPod Nano since October of 2012, and hasn't updated the iPod Shuffle since September of 2010. But, whether someone is using an iPod or an iPhone, they will still use the same iconic white earbuds, and that's where Beats comes in. Jimmy Iovine has already gone on record saying that those iconic white earbuds are bad, and when you use them to watch Apocalypse Now (though we're not sure why you'd watch that on a mobile device), "the helicopter sounds like a mosquito." Those are pretty harsh words, but they point to an interesting proposition: what if the headphones you got with an iPhone weren't just a throw-in, but something you were happy to get? Apple had been trying to make its earbuds a value add with the EarPods, and the headphones received better than average reviews, but they quickly lost buzz. Beats headphones sell for a huge premium, which many would say is unwarranted given the quality of the products, but that's a consumer point of view, not a business perspective. Apple loves selling devices at a large premium. It has literally made billions doing exactly that; and, there are plenty who would say that Apple devices aren't worth the markup either. But, "worth" is a fluid idea that essentially comes down to a simple fact: an item is "worth" whatever people are willing to pay, and it is clear that consumers are willing to pay a premium for both Apple and Beats devices. Beats reportedly has yearly sales of more than $1 billion on its electronics. an item is "worth" whatever people are willing to pay, and it is clear that consumers are willing to pay a premium for both Apple and Beats devices. The other part of why Apple needed to buy Beats seems to be Dr. Dre and Jimmy Iovine. Apple does have iTunes, and has a history of making deals with record companies; but, a lot of that history is more Steve Jobs strong-arming the industry because of the power Apple wielded with the iTunes/iPod combination. The more recent additions to the iTunes platform of iTunes Match and iTunes Radio have reportedly been disappointing to record industry insiders, and those troubles may have been leading to troubles for Apple in negotiating terms for its own streaming service. The market is shifting away from the iTunes purchase model and towards subscription streaming, and Apple doesn't have the power to negotiate the deal it wanted. Okay, maybe "making apps" is a bit strong, but at the very least, Apple did just acquire development teams that built beautiful apps for Android and Windows Phone, and for the first time Apple is responsible for mobile apps that aren't iOS exclusive. There have been users asking for a long time that Apple bring iTunes to other platforms, and that suddenly doesn't seem like such an unreasonable proposition. Before digging into that, it's hard to not mention the similar situation Apple was in with iTunes and Windows, because that comparison almost required when it comes to a story like this about Apple. The past seems like it may be mirroring the present once again for Apple. For a long time, iTunes and therefore the iPod worked exclusively with Apple computers. Eventually, Apple realized that the only way to continue growing those products was to bring iTunes to Windows, because Windows held the vast majority of the PC market. The lure of iTunes wasn't enough to sell Macs, and it isn't enough to sell iPhones either. Android is dominating the smartphone market, and is continuing to take more and more of the tablet market as well. At the same time, traditional music sales are on the decline and Apple needs to find a way to revitalize that portion of its ecosystem. This isn't to say that Apple will bring the full iTunes suite of content to Android, of course. The libraries of music, movies, TV shows, books, and apps that users have bought and built in iTunes are powerful hooks in keeping people in the iOS ecosystem, and Apple won't want to loosen those ties. But, as mentioned, music sales are on the decline and subscriptions are taking over; and, subscription services are far better served as cross-platform products. And, the Beats Music app can easily fit into the Apple world: it is beautifully designed, and offers some amazing curation options, including The Sentence. The Sentence is a fairly simple idea to start a radio station, where you start with what you're doing ("I'm at work/at the gym"), what you feel like ("kicking back/punching walls"), who you're with ("with my BFF/my boo/myself"), and what kind of music you want to hear. It's a simple setup that both teaches the service more about you, while getting music you want to hear, and likely introducing you to new music that you wouldn't normally hear. It really is the kind of feature that every service should offer, and it shows the skill of the design and development teams that Apple has just acquired. But, the best part about the Beats Music app (as far as Apple is concerned) might be that it shoots users over to the Beats website in order to sign up for a subscription. This is a small thing, but it means that the subscription doesn't go through an in-app purchase, meaning no cut for Google or Microsoft. Apple likely would have made a change like this anyway, so the fact that the app already functions this way means that Apple will avoid the inevitable bad press that would come from making a change like that. At the very least, this makes it reasonable to wonder if the fabled iWatch might also work with Android and Windows Phone as well. The question does still stand though: is this a one time deal or will Apple begin to support other mobile platforms more? The answer is likely a work in progress. If it were Steve Jobs still in charge, the answer would be a resounding "No! Never ever ever! ", but Tim Cook is not the same kind of leader, as we have tried to impress before (and has seemingly been proven by the new patent settlement between Apple and Google/Motorola and reported settlement talks between Apple and Samsung). Tim Cook seems quicker to understand the limits of Apple's past stubbornness, and if Beats Music does well on other platforms, it seems likely that Cook would at least be open to considering expanding Apple's portfolio. At the very least, this makes it reasonable to wonder if the fabled iWatch might also work with Android and Windows Phone as well. It may still be unlikely, but we can no longer instantly dismiss the idea. In reality, the iWatch is actually the perfect opportunity to embrace cross-platform a bit more. As mentioned, it doesn't make much sense to port over iTunes or iBooks. Apple could potentially port iMessage, FaceTime, Apple Maps, or Safari, but there aren't really too many users asking for those products. But, the potential is much different for the iWatch. There are already a number of smartwatches on the market, and barring a big surprise by Apple at WWDC next week, it looks like the first set of Android Wear devices like the Moto 360 will hit the market well before the iWatch as well. Because it is an Apple product, there is always the possibility that the iWatch will launch at a steeper price than consumers would normally expect to pay, so there would be value in making the iWatch available to as many platforms as possible right out of the gate. Then, there is also the other big connection between the iWatch and Beats: fashion. Beats, much like Apple, has made its brand and its money on selling its products as fashion statements and status symbols, not just as functional equipment. This is a big reason why there is a similar backlash for the two companies. Audiophiles take umbrage with the fact that Beats has become so popular so quickly, but the quality of the headphones doesn't match the price tag. Similarly, Apple haters will constantly decry the company for overcharging customers for devices that have so many limitations. Of course, neither argument has any true reason behind it, because the choice of another has absolutely no effect on your appreciation of your own possessions. Still, Apple loves that its devices are seen as fashion symbols, which is why it tends to focus so much on design. The iWatch will be crossing into a new realm though, because watches are squarely in the fashion world, whereas electronics still live on the fringe. Even if the Beats crew don't have any meaningful input on the design of the iWatch, it will be powerful to have Dr. Dre and Jimmy Iovine wearing that device. Google's Matias Duarte may have fashion credibility, but he doesn't carry the same cultural weight as Dre, the host of others featured in Beats commercials, like athletes Colin Kaepernick, Richard Sherman, Kevin Garnett, and Cesc Fàbregas, or musicians Kendrick Lamar, and Ed Sheeran. And, let's not forget that Beats also has Samsung spokesman LeBron James on its roster, that's bound to lead to a conflict of interest pretty soon. No Android manufacturer has that fashion credibility, and when it comes to watches, that may just be enough to tip the scales, especially if Apple is planning to sell the iWatch for a premium. Apple now has developers experienced with building quality apps for Android and Windows Phone, and this offers new possibilities that Apple may not have had before. Of course, even if Tim Cook does want the iWatch to reach a wider audience, there is always the issue of production and if Apple would be able to meet the demand. Demand for an iWatch is likely to be pretty high, as far as these things go, and Apple has already reportedly had issues with sapphire glass production and more. 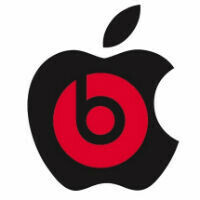 But, Apple is getting quite a lot from the Beats acquisition, and it could be more than what it seems on its face. Remember, before this deal, the largest acquisition Apple had ever made was in 1996 when it paid $429 million to buy NeXT and bring back Steve Jobs. Even adjusted for inflation, Apple is paying about 5 times more for Beats than it did to buy NeXT. This is a huge deal, and don't let anyone try to tell you otherwise. Apple is betting a lot on the fact that it will be getting back value from Beats. A lot of that is sure to come from the sale of headphones, but don't be surprised if the ripple effects are seen well away from iTunes. I hope Beats will improve. I have a pair here which I won in a game. To be honest it was good but it is below par. A $30 Sony MDR is better. With Apple's quirk for quality Im sure Beats will improve but to me it will not be a selling point. ""No! Never ever ever! "," how could we have ever known Mike. The guy is dead. I think you do know that Jobs was also against ever making a smartphone but he changed his mind, couldn't it have been the same? Steve will never allow Beats to be bought. Woz isn't sitting in the big chair any longer. Woz and Steve saw a lot of things differently, which is why they worked great together. Is that a srcsm? help..i'm blind! More views more ads. PA doesnt care about readership since.